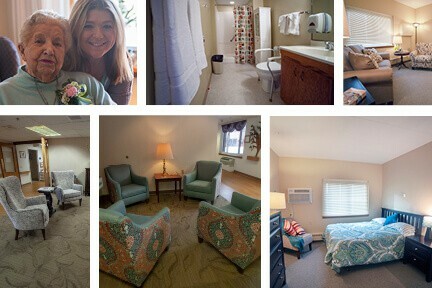 Come see our Assisted Living community for yourself during this open house! Tour models of our suites and studios. Check out newly renovated common areas and hear about dining updates. All are welcome! Thursday, July 25, 5-7 p.m.
* Take the North Drive into Luther Manor and use the Courtyards Building Entrance.